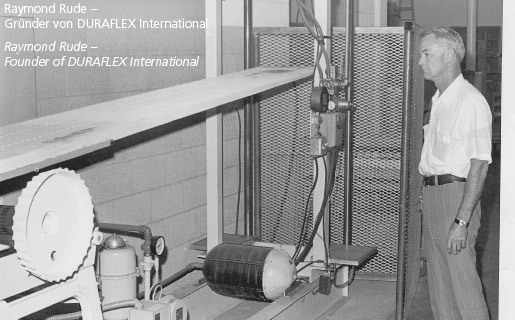 DURAFLEX International is the maker of the finest spring-board diving equipment in the world. 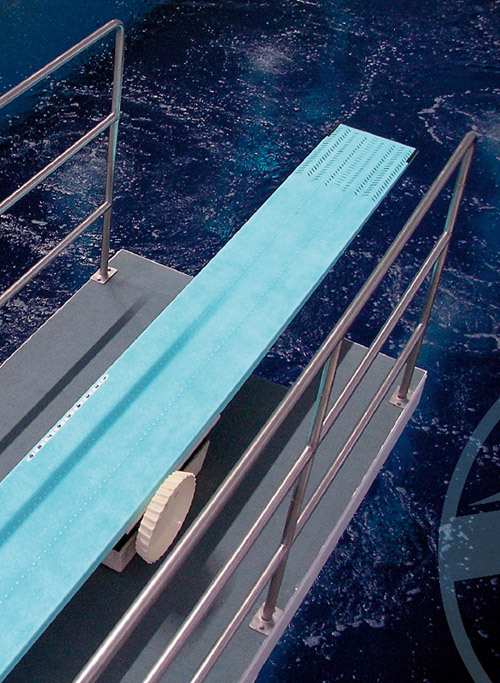 DURAFLEX is the standard in the diving industry – professionals and amateurs appreciate the high quality of DURAFLEX products. 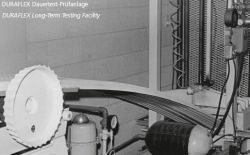 DURAFLEX aluminum spring-board – unique in design and appearance. 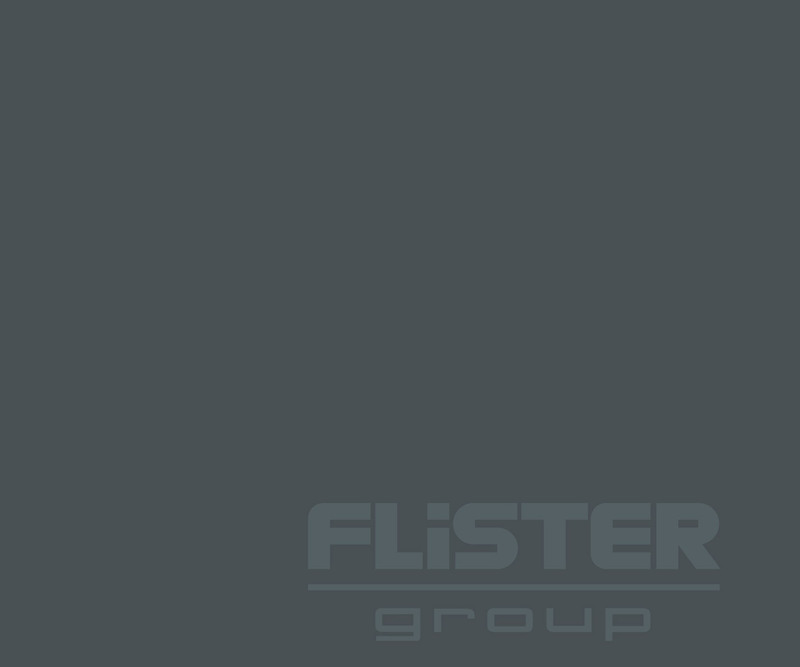 The slip-resistant coating provides a grip that is unmatched in the industry. The MAXIFLEX Model B is used exclusively in the Olympics and all international competitions. DURAFLEX-Diving Equipment is being used exclusively since 1958 at all Olympic Games as well as all national and international diving competition and events worldwide. 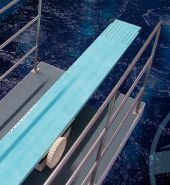 Special process engineering, high grades of material and a large-scale construction allow for an extra-ordinary flexibility of the diving-boards and the concurrent increase of efficiency for the diver as well as for the unlimited constant use for leisure sport.